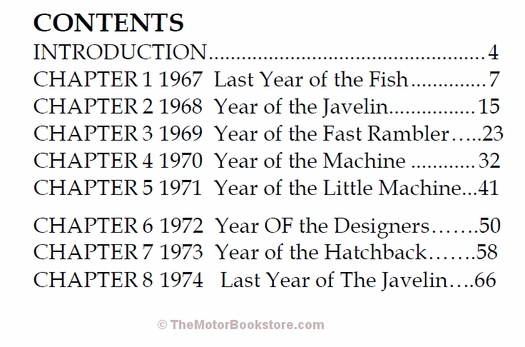 AMC Decoding Guide 1967-1974: AMX, Javelin, Gremlin, Marlin, etc. 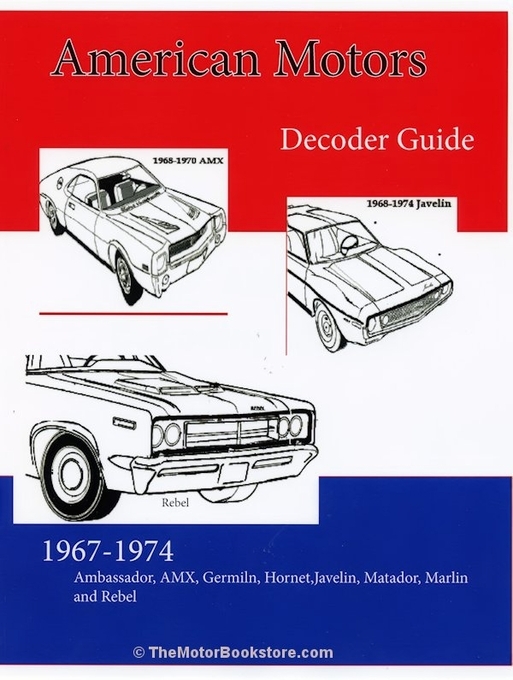 The American Motors Decoder Guide 1967-1974 written by Thomas Mulvaugh and published by PAH Publishing is back with a new and improved binding!! Have you wondered how to decode your car's VIN? How bout decoding AMC body plate, engine, transmission, rear axle or trim code? You will be able to do it with this decoder guide! 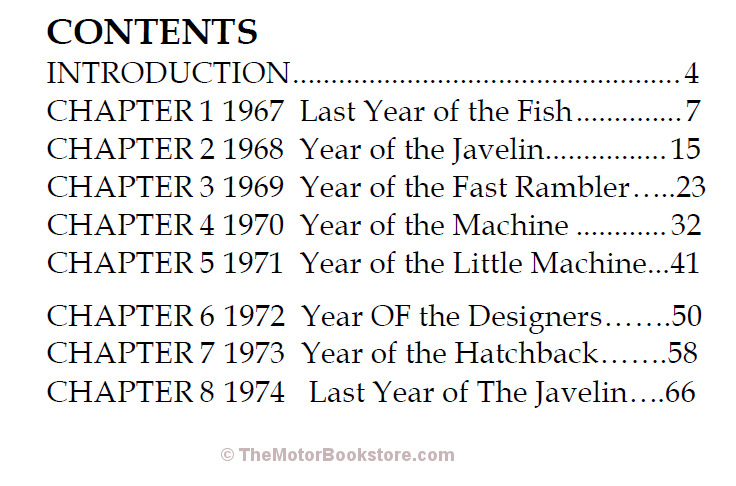 The American Motors Decoder Guide 1967-1974 is the manual you'll need to decode all AMC models, from 1967-1974. 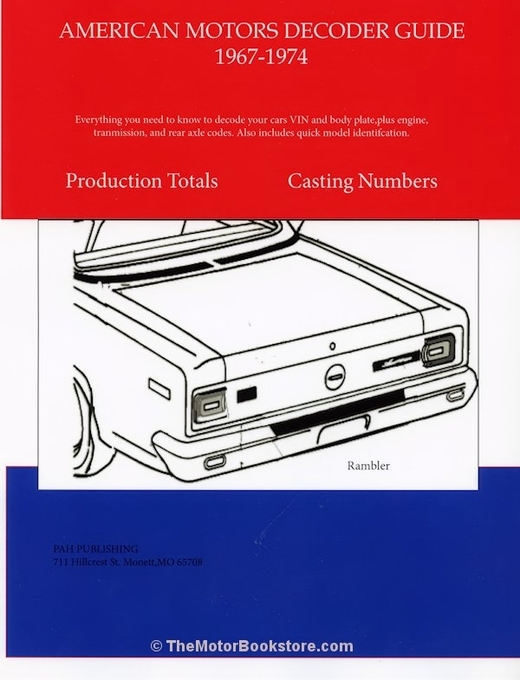 Decode VIN, paint, trim body codes plus have access to production totals, casting numbers, and tips on collectable and rare models. This guide is a must-have resource for the AMC collector, restorer or enthusiast. This guide also covers the SC/360 and Trans Am replicas, Mark Donahue and the designer series.